The Dallas Mavericks have acquired all-star point guard Rajon Rondo from the Celtics in a trade involving five players. Along with Rondo, the Celtics sent rookie Dwight Powell to the Mavs and received Brandan Wright, Jameer Nelson, Jae Crowder, a first-round pick and a second-round pick. Rondo joins a team that currently sits in sixth place in a very talented Western Conference with a 19-8 record, and brings more than just his scoring ability. Rondo leads all guards in rebounding (7.5 per game) and has been named to the all-defensive team four times in his career. Seems like a perfect fit for the Mavericks since they rank 29th in rebounding and 20th in defensive efficiency. "Of course he&apos;s known for his defense and he&apos;ll bring that intensity," Tyson Chandler said. "He&apos;ll shake some things up for us, which will be good. We&apos;re going to need it, especially in the Western Conference, the type of guards that we face on a nightly basis." Rondo is not a great scorer, but he leads the league in assists (10.8). Besides, Monta Ellis—the other Mavericks ball-handler is averaging 20.6 points per game. Rondo only averages 8.3 points, and 7.5 rebounds per game. His new teammate and twelve-time all-star Dirk Nowitzki is excited about Rondo’s arrival to the team and what he can add to the team. 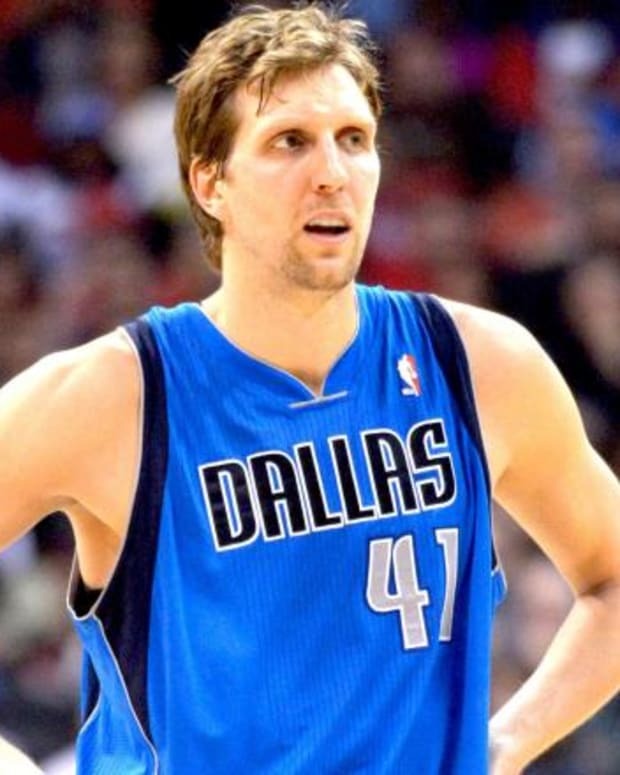 "Anytime you have a chance to grab a top point guard in this league, you got to go for it,"Nowitzki said. "I think he&apos;s a competitor, a warrior. He plays hurt. He&apos;s a winner, so he brings a lot of great things." The Mavs hope Rondo will be able to play in their home game against the Spurs Saturday. All players in the deal must pass the physical before they are in action with their new teams. NBA Rumors: Celtics Trading Rajon Rondo to Magic or Hawks?